The Long-Term Services and Supports Quality Review (LTSS) is produced independently by the state of TX. 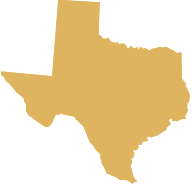 The Long-Term Services and Supports Quality Review (LTSS) is a statewide representative survey of people receiving services and supports through home and community-based and institutional programs offered by the Texas Department of Aging and Disability Services (DADS). The purpose of the LTSS survey is to describe the perceived quality and adequacy of long-term services and supports administered by DADS, consumer quality of life, and trends in long-term services and supports over time. DADS used three nationally recognized survey instruments designed for measuring specific consumer indicators. DADS used the National Core Indicators Adult Consumer (ACS) and National Core Indicators Child and Family Survey (CFS) for the I/DD population and, prior to 2016, used the Participant Experience Survey Elderly/Disabled (PES) version for the elderly disabled. As of 2016, DADS uses the NCI-AD survey for the Elderly/Physical Disability population. The review process is not regulatory in nature, but rather a discovery method to identify areas of need and for improvement. The LTSS survey provides baseline information for continuous quality improvement, helping the agency build a quality management strategy, develop innovations, and provide information to stakeholders and CMS. The State Report helps states review the NCI Adult Consumer Survey data compared to the average of all other participating NCI states in a reasonably sized and easy to review format.